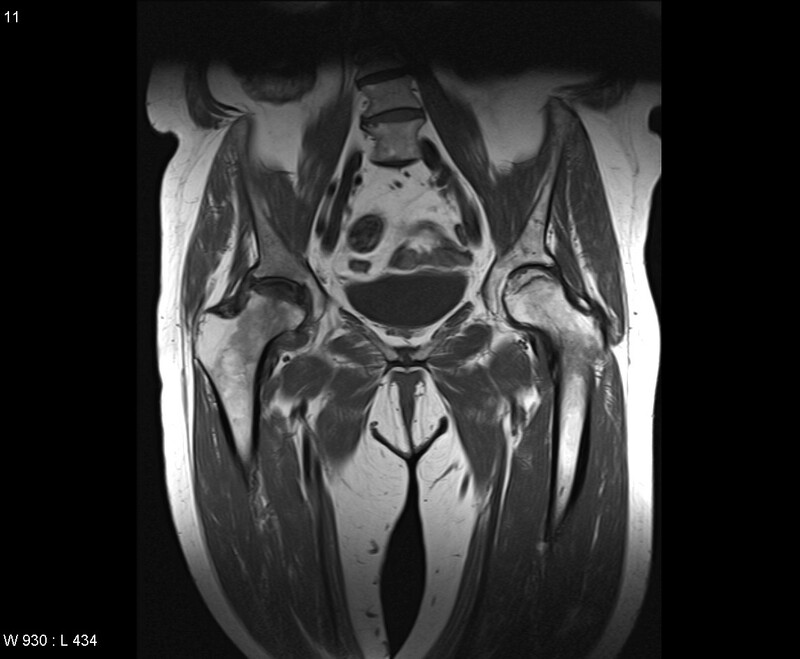 This pathway provides guidance for imaging patients with suspected avascular necrosis of the hip. 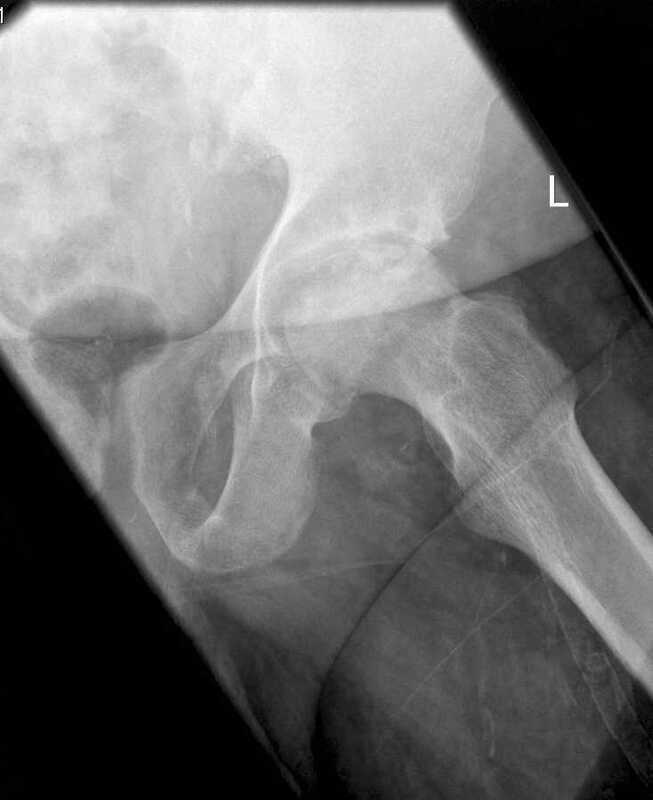 Image 1 (Plain Radiograph): Flattening of the left femoral head is consistent with avascular necrosis. Image 2 (Magnetic Resonance Imaging): MRI images of avascular necrosis demonstrating flattening and sclerosis of the superior articular surface of the left femur (arrow). Cortical fragmentation and marrow oedema are present within the femoral head. Image 3 (Magnetic Resonance Imaging): Coronal T1 imaged showing bilateral avascular necrosis of differing age. 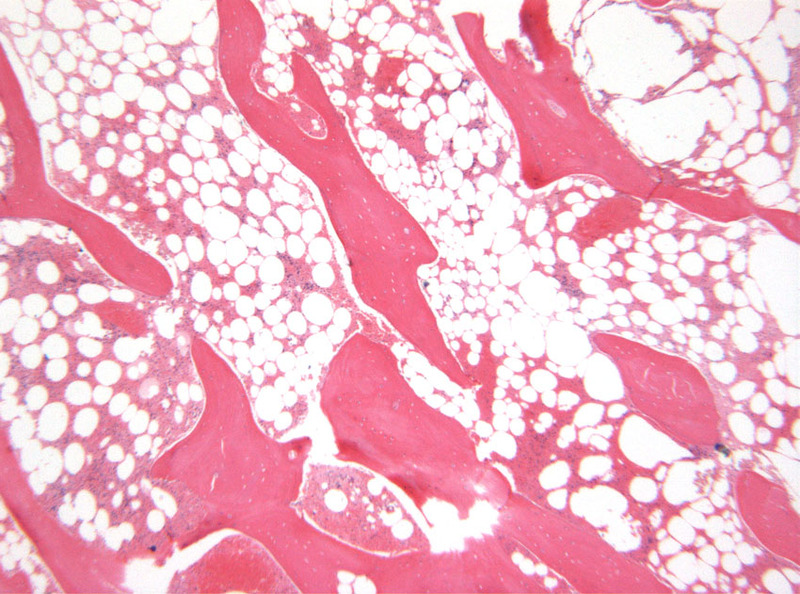 Image 4 (H&E, x2.5): Histological section showing the features of avascular bone necrosis. There is necrosis of the bony trabeculae with empty lacunae and almost complete absence of haemopoeitic marrow elements. © Copyright 2023, Department of Health Western Australia. All Rights Reserved. This web site and its content has been prepared by The Department of Health, Western Australia. The information contained on this web site is protected by copyright.